These last few days I’ve been “cleaning” and organizing my laptop, trying to free up as much space as I can and work out all of the kinks. While I was sorting through iPhoto I came to my Bolivia folder. Looking through all of my photo’s from a year ago I couldn’t help but smile and then cry, because I realized this time around, it’s going to be very different. 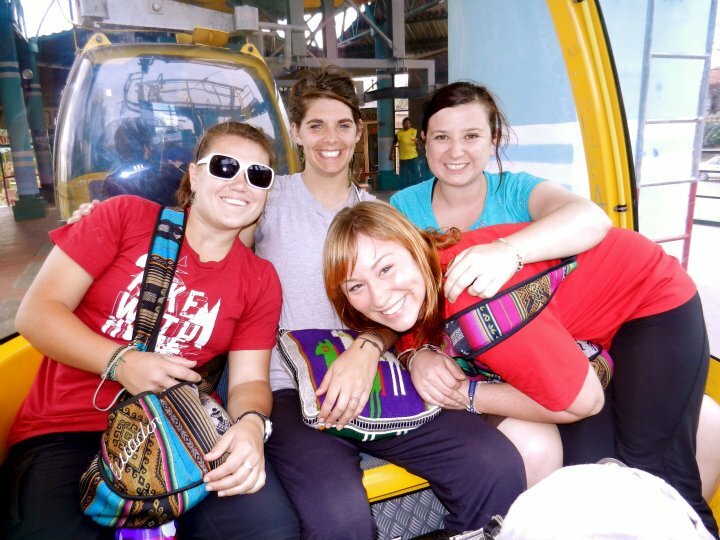 With 3 of my Team Battlecry girls on the Teleferico to the Christo. I’m excited about some of the changes. I’m excited to gain the sense of independence I wasn’t granted on the World Race, and I’m excited to really dig deep and get involved long term. 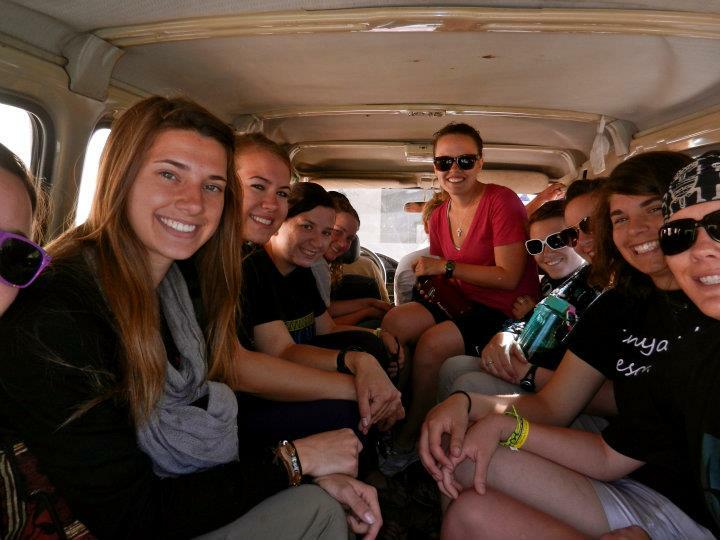 In the back of the Hospitals Land Cruiser on our way to ministry. But boy am I going to miss my community. During our month in Bolivia I was blessed to share the ministry not only with my 4 other teammates but with the 6 incredible women on Team Daniel as well. I was consistently surround by people who knew me and loved me, and while I know I will build relationships when I get to Cochabamba, I have a feeling the first couple months will be hard, when all my memories and experiences exist only from before, and the people that I share those memories with won’t be there. 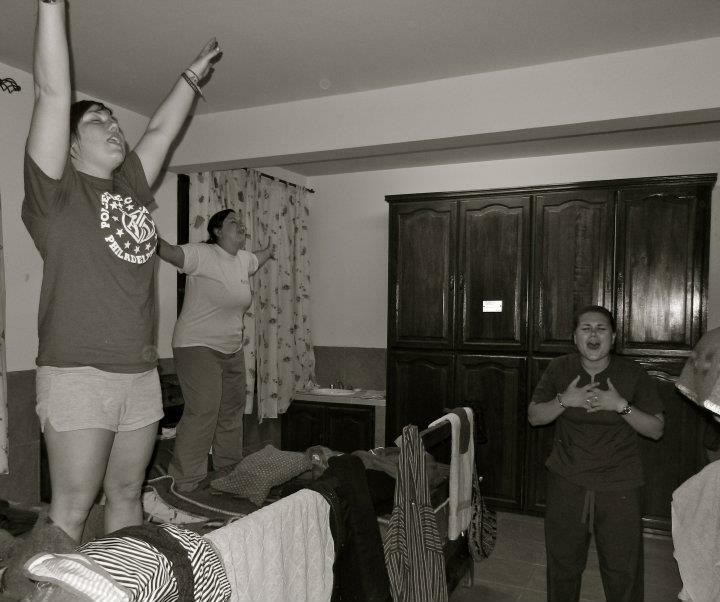 Team worship time in our bedroom in the guesthouse. But with this new opportunity comes a new chance to make memories, and possibly even greater memories. So I’m not scared or apprehensive. This is going to be great and amazing and I CAN NOT WAIT! And let me say, if there are any experiences like the one below, I have nothing to worry about! 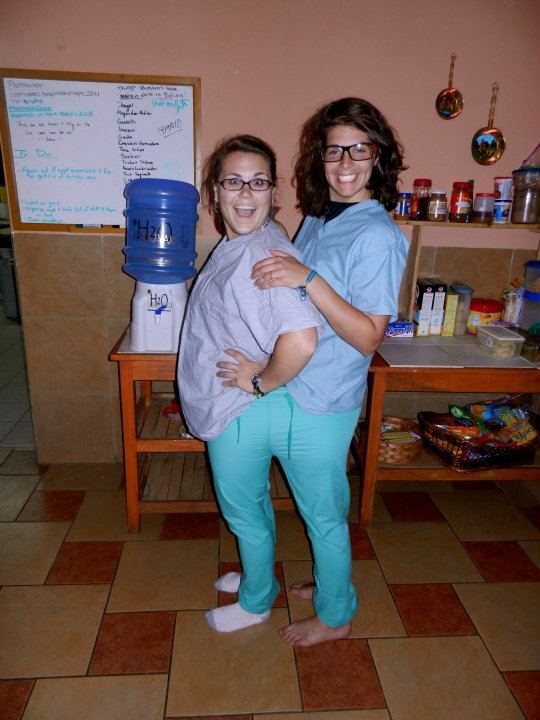 Lauren and Kim figured out they could “share” a pair of scrubs. We all died laughing. Categories: Bolivia, Hospitals of Hope, Travel, World Race | Tags: Bolivia, Hospitals of Hope, World Race | Permalink.